Item # 308373 Stash Points: 6,495 (?) This is the number of points you get in The Zumiez Stash for purchasing this item. Stash points are redeemable for exclusive rewards only available to Zumiez Stash members. To redeem your points check out the rewards catalog on thestash.zumiez.com. 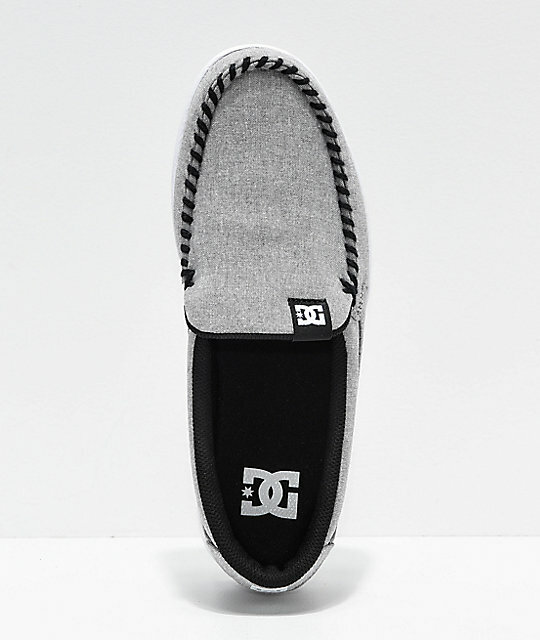 Pick up the Villain White Slip-On Shoes from DC, and you are sure to be chillin' like a villain. 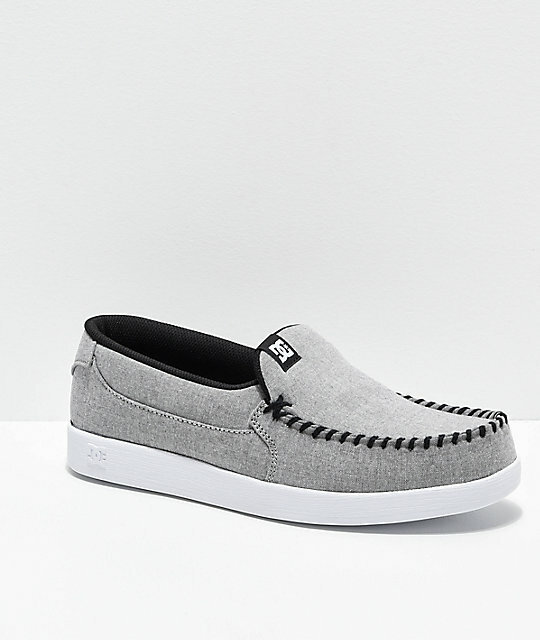 These comfortable slip-on shoes come with a heather grey textile upper with a durable stitched moccasin style toe for a signature look style. 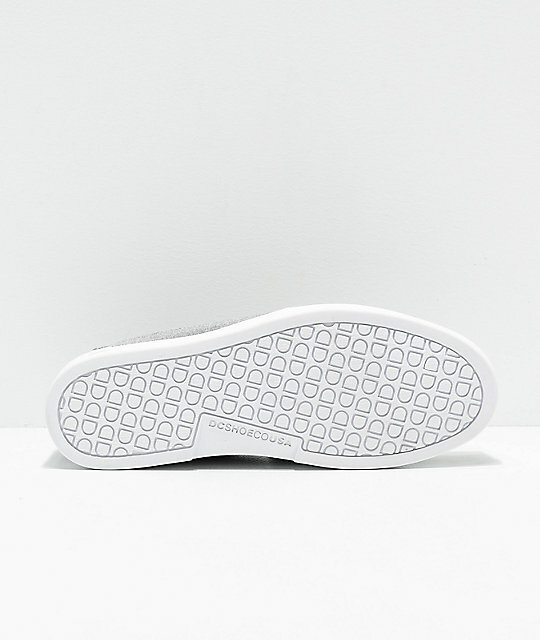 A cupsole construction with soft mesh lined interior, and DC's Pill Pattern tread complete the design of these easy going shoes from your friends at DC. 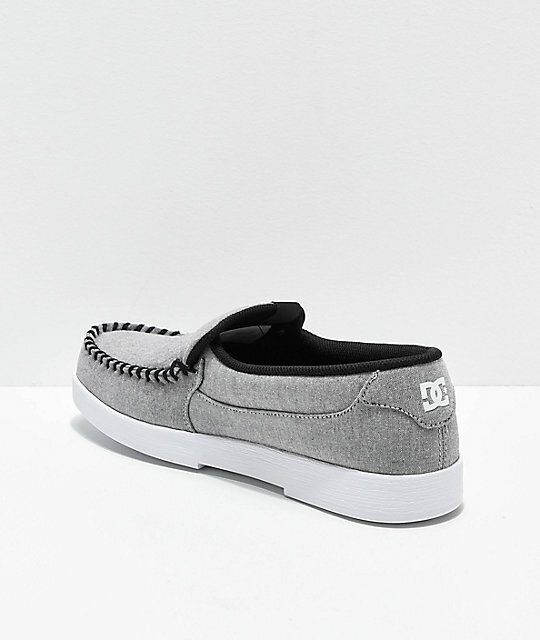 Villain White Slip-On Shoes from DC. Durable stitched moccasin style toe. Shoes run large; order half size down if applicable.